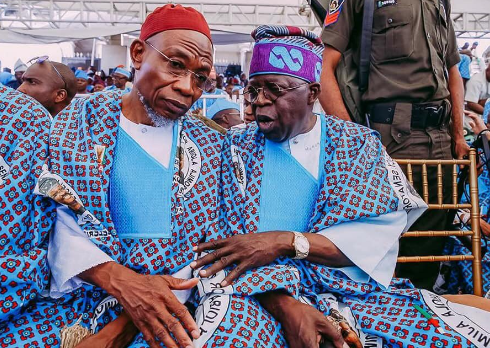 Tinubu, Aregbesola Facing Serious Heat Over Sanwo-Olu? 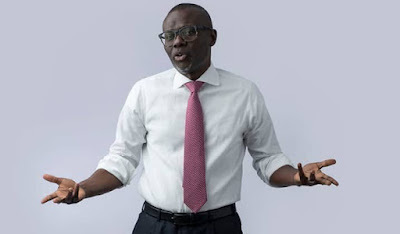 A crisis is brewing in the Lagos State chapter of the All Progressives Congress over the role the former Osun State Governor, Mr Rauf Aregebsola, is playing in the compilation of names of political appointees that will form the cabinet of the Governor-elect, Babajide Sanwo-Olu. The crisis, according to sources, is between two main groups within the APC in the state - the Mandate Group and the Governor’s Advisory Council. Sources disclosed that National Leader of the APC, Asiwaju Bola Tinubu, had delegated Aregbesola to put together the list of politicians who would work with Sanwo-Olu. The Punch learnt that the former Osun State governor had, as a first step, asked Sanwo-Olu to disband his campaign team and await the list of members of the transition committee. The Director-General of Sanwo-Olu Campaign Team, Mr Tayo Ayinde, was said to have immediately complied with the directive on behalf of the governor-elect. The transition committee will interface with Governor Akinwunmi Ambode’s transition team. Sanwo-Olu will be inaugurated as Lagos State Governor on May 29. Aregbesola has reportedly compiled 40 names of those that would be the new governor’s aides from the Mandate Group alone. The Media Adviser to the former Osun State Governor, Mr Sola Fasure, when contacted on phone by The Punch on Friday, said he would get in touch with his principal and give his reaction to the allegations. Fasure, when contacted again on Saturday, said Aregbesola had yet to respond to the inquiry. He promised to remind him and get back but he had yet to do so as of the time of filing this report. But the Publicity Secretary of Lagos chapter of the APC, Joe Igbokwe, when contacted, neither confirmed nor denied the development.